FOX took Terra Nova off their schedule late yesterday, though 20th Century Fox Television said they’d be willing to find a new home for the show. It’s strange, because Terra Nova was the most anticipated show not only this fall, but also for the past few years (it took a long time to finish the production). With big names, including Steven Spielberg behind it, how could it fail? There were many reasons behind Terra Nova’s fall, and I’ll name them. First, Terra Nova didn’t know what kind of TV show it wanted to be. One day it was a hard iron drama, the next day it was about little kids playing with dinosaurs. The producers assumed this would attract both adults and kids, but adults were probably put off by the family aspect (at least I was because those kids were extremely annoying) and I’m sure many kids were afraid of those dinosaur scenes. The second reason is that the producers seemed more concerned about the dinosaurs than the actors. The acting felt wooden, and none of the characters felt particularly interesting. The producers attempted to get either Kevin Bacon or Kyle Chandler to play the lead character, but the plans fell apart (though I’m happy neither actor accepted the role). The main reason why the show ended is that enormous budget. The pilot alone for Terra Nova costed about $20 million, even more than the $12 million it took for Lost‘s pilot. FOX was expecting dinosaur sized ratings, but the show barely averaged over 7 million viewers. 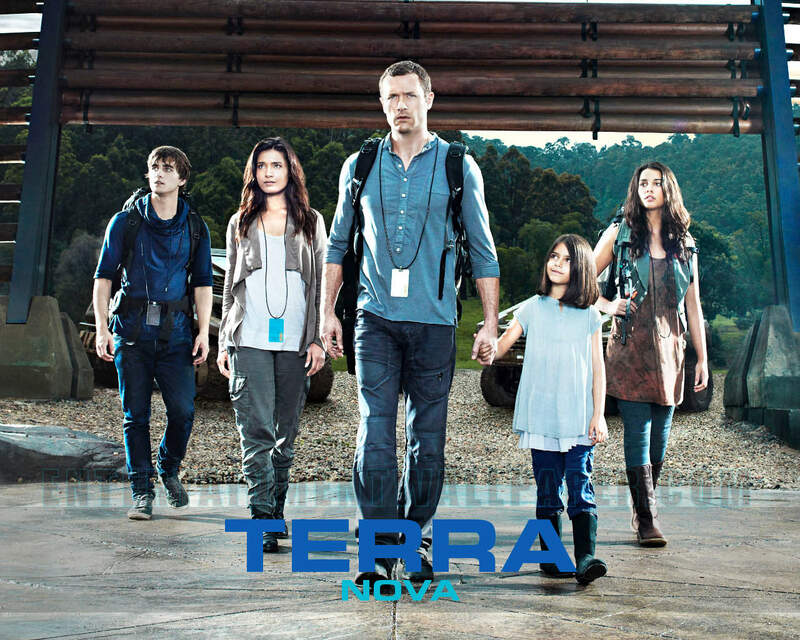 Terra Nova seems more suitable as a movie than a TV show. But despite my complaints, I don’t think Terra Nova is an awful show. It was disappointing and sometimes pretty bad, but found a good beat sometimes. It could have also given sci-fi a future on network stations. Perhaps Terra Nova is a sign for networks not to do for a TV show. Well, I guess the dinosaurs died a few million years too early for the Shannon family. « The Lorax You Say?